On January 18th, Ms. Stefania Lentinello, Program Officer of the Siracusa International Institute for Criminal Justice and Human Rights, attended the 9th Steering Committee of the Twinning Project between France and Tunisia on the “Support to Training of the Justice Sector Personnel” (“Appui à la formation des personnels de justice“) in Tunis. 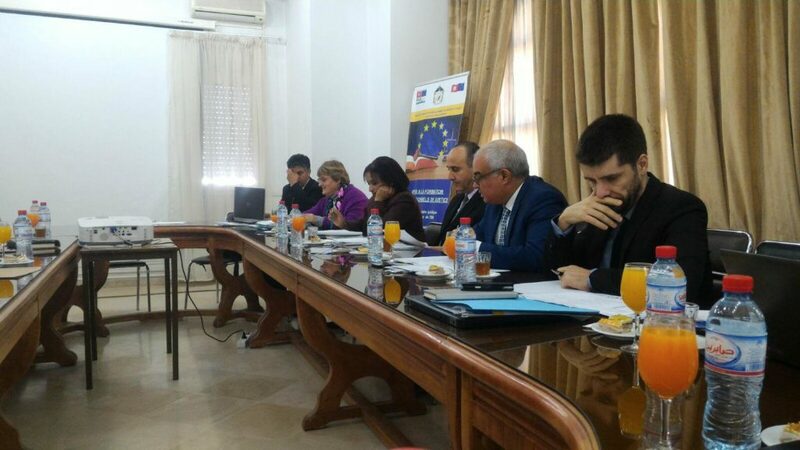 The overall objective of the project is to strengthen the effectiveness and independence of the judiciary in accordance with European and international standards, in particular by improving the capacities and skills of the justice sector personnel and by strengthening the Tunisian High Institute of the Judiciary (Institut Supérieur de la Magistrature – ISM). The project is conducted by the French Ministry of Justice and the French National School of the Judiciary (ENM). The Italian High School of the Judiciary (SSM) is junior partner of France and The Siracusa International Institute is the ad hoc mandated body of the Italian Ministry of Justice. The working sessions of the 9th Steering Committee were opened by Mr. Kadhem Zinelabidine, General Director of the Tunisian High Institute of the Judiciary.